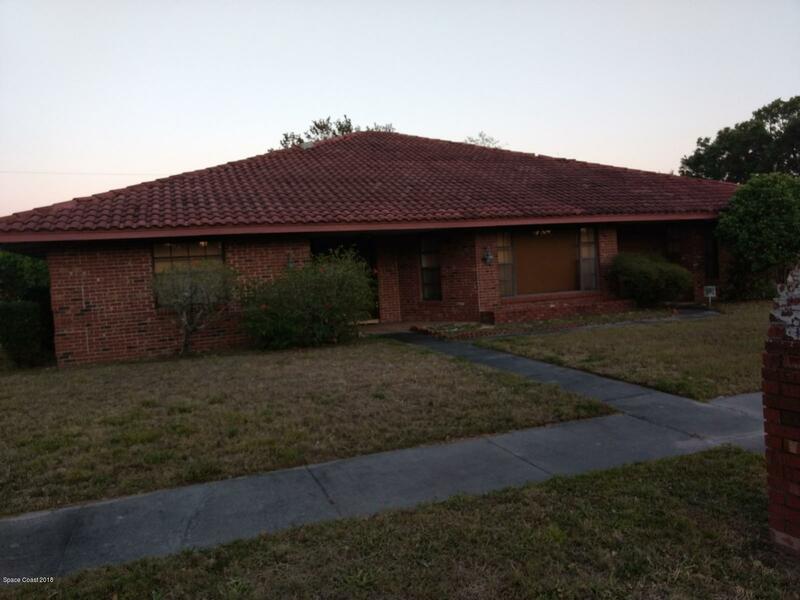 1725 Gayle Avenue, Titusville, FL.| MLS# 810002 | Free Brevard County MLS Home Search. No Agent Needed. Daily Auto-Email Listings of All Brevard County Homes and Listings For Sale That Meets Your Home Buying Criteria. Brevard County Real Estate Market Information. Rare find in central Titusville and close to jobs, schools and shopping . Large custom brick home on oversized lot features a split plan, bar area, beamed ceilings and many other custom features not easy to replicate . Large garage for extra storage . Waiting for you to customize . Have a look today !